2018 was a crazy year, but it was also a year full of wonderful live music. 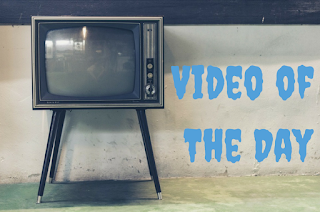 I've already talked about my favorite shows from the first half of 2018, but there were some serious standouts in the latter half of 2018 as well. We in greater DC are so very fortunate to have as many venues as we do that bring in as many fantastic live bands as they do. As with my post on my favorites from January to mid-June, I'm putting these shows in chronological order because it's the most equitable way to do things. And again, if you have the opportunity to see these artists, please do. They're all making incredible music and put on a hell of a show. Ciaran Lavery (6/21/18 @ Jammin Java): One man show Lavery really impressed me with his poignant songs and cheeky sense of humor. In my review of the show I noted that "the beautiful, emotion-heavy rasp of Lavery's voice is no mere studio magic. Poignant and world-weary, Ciaran's voice was powerful yet able to also convey a sense of welcoming intimacy. His lyrics capture moments in time, and the effects of these moments could be seen as he strummed his guitar, eyes closed tightly. Though his latest record Sweet Decay features plenty of well-crafted instrumentation, live Lavery shines when he's just got his guitar (and a piano every now and again)." The Love Language (8/16/18 @ Comet Ping Pong): The Love Language show in DC happened the night Aretha Franklin died, so there had been a gaping hole in the music world that needed to be filled. Enter Stuart McLamb and his live cohorts in The Love Language. Said I at the time; "Hearing old favorites like "Providence" and "Heart To Tell" and "SPARXXX" and "Pedals" gave me giddy schoolgirl goosebumps, not to mention the thrill of taking in the brazen, irrepressible shimmy of "Lalita" as the band's parting shot. McLamb's gift at crafting earnest, lovelorn vignettes hasn't abandoned him one bit over the years, nor have the older Love Language songs lost any of their considerable luster." New Order (8/28/18 @ The Anthem): I've literally waited decades to see New Order live, and they made the wait well worth it. A packed house at The Anthem was witness to a scorcher of a set from these legends, including such timeless songs as "Regret," "Love Vigilantes," "Bizarre Love Triangle," "Vanishing Point," "True Faith," "Blue Monday," and "Temptation" - not to mention the trio of Joy Division songs that closed out the show. It was a true mindblower of a show, and I still get a little thrill thinking of it, months after the fact. Graham Coxon (9/23/18 @ Rock & Roll Hotel): I've missed the chance to see Graham Coxon live on more than one occasion, so it was a great pleasure to finally see this lovely man play. Sweetly awkward, Graham and his guitar delighted the crowd this September evening with his songs and his inter-song banter. Not even a fall off a chair could stop the night from being enchanting. 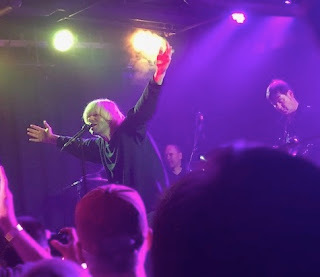 The Charlatans (10/2/18 @ U Street Music Hall): Over the years I've been lucky enough to see The Charlatans live a number of times, in a number of cities and in a number of venues. This set at the U Hall might be one of the best, though - seeing this longtime favorite in such an intimate space with a devoted crowd...truly special. Tim Burgess is still a gifted frontman, and the addition of The Verve's Pete Salisbury on drums feels like musical kismet. Some old favorites like "One To Another," "Weirdo," "Impossible," and "North Country Boy" made the night feel wonderfully familiar, and the green-lit finale of "Sproston Green" turned back the hands of time to the 1990s. Nine Inch Nails + Jesus & Mary Chain (10/9/18 @ The Anthem): Whoever came up with the idea for the Cold and Black and Infinite tour deserves a medal. Putting together the dual sonic juggernauts of Nine Inch Nails and The Jesus & Mary Chain was absolute, diabolical genius. A full set of immaculate scuzz from the Glasgow contingent J&MC was followed by a legendary set from Trent Reznor's NIN, and though my personal NIN favorite "The Perfect Drug" was played the night after my show, I still say this might have been my very favorite show of the year. Public Image Ltd (10/12/18 @ Black Cat): I went in a casual fan and left the Black Cat with a newfound appreciation of PiL. John Lydon's bunch was on really good form, and played a hell of a set. I went home humming my new PiL favorite "This Is Not a Love Song." CHVRCHES + Lo Moon (10/18/18 @ The Anthem): Not an immediately obvious pairing, these two bands really complement one another. From Lo Moon's atmospheric California dreaming to the exuberant synth of Glasgow trip CHVRCHES, this was a heck of a night. I still stand behind what I said just after the show, "I can't count how many times I had goosebumps during their set. If you've ever got the opportunity to see Lo Moon live, I implore you to do so. This band is truly something special." With CHVRCHES, I enjoyed hearing their newest songs along with the songs that have fallen into the category of old favorites. Lauren Mayberry is a furious pixie onstage, now, twirling and stalking and singing her heart out with every note. They've really become an impressive live act, though they probably always have been. And with that, it's a wrap. What will 2019 have to offer on this scale? From a live music standpoint, 2018 is a pretty tough act to follow.